If you’d like to read about our technicians’ newest projects in South Saint Paul and the area, you can now do so here. Scroll down and see how we helped our customers! 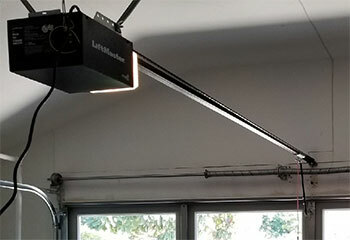 Customer Issue: Longtime wear and tear was making the customer’s garage door tracks increasingly prone to releasing the door. Our Solution: Fortunately, nothing had quite broken yet, so removing the door from its tracks was relatively simple for our team. With it out of the way, they removed the tracks, screwed in their replacements, and also replaced two of the rollers that were looking questionable for good measure. Then, realigning the door was done to ensure it could once again move with smoothness and ease. 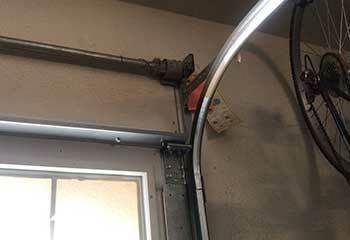 Customer Issue: Wanted a new garage door. Our Solution: Although the customer had already done his research, he wanted to hear more options and chose GD1LU model from Clopay’s Gallery® Collection, following our recommendation. We replaced the door, adjusted spring tension and opener settings and made sure the rest of the system worked fine. Our Solution: Budget for this project was not a problem, but we still discussed a number of options before our customer chose Chamberlain Whisper Drive model WD962KEV. We installed it, double checked the system and showed him how to use all of the new features. Customer Issue: Worn out rollers. Our Solution: We found the culprit right away, explained pros and cons for different types of rollers and advised switching to nylon ones. Once we got the green light, we installed a new set, applied lubricant where needed and did some fine-tuning to boot. 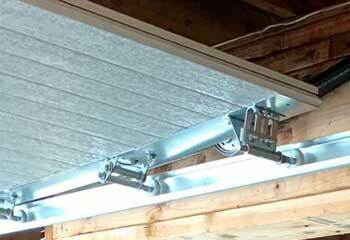 Can I Use My Garage Door With A Broken Spring? Our reliable team has the experience needed to offer you the quality services you need. We deliver service with a strong focus on customer satisfaction, which means we make sure our work stands the test of time. We keep our response times as short as possible. Our technicians always put safety before anything else. We offer a wide breadth of services, ranging from consultation to full, hands-on building and reinstallation projects. Whatever the kind of work you need carried out; you’ll find our experienced team ready and eager to handle it. Explore our site to learn more about what we do! Thank you for choosing our company! Feel free to browse our website for more information in the meantime. 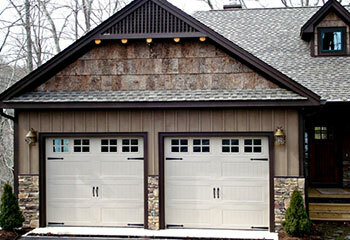 Our team at Garage Door Repair South Saint Paul is at your service any time!